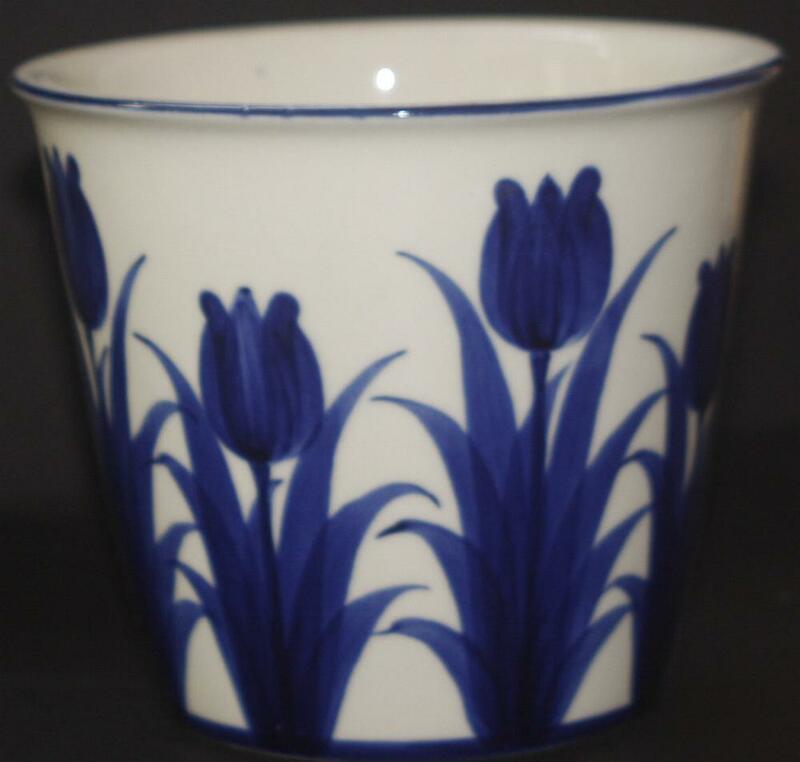 Flower Pot -- Blue Tulip Design 13x15cm - Souvenirs - The Dutch Shop LLC your store for Dutch groceries. Delft Blue handpainted flower pot with blue tulip design. Stands 13x15cm.